For the most part, Buffalo Bills coach Sean McDermott doesn't overtly play favorites with his players. He doesn't hesitate to say nice things, but never really gushes about anyone. McDermott pretty much will do what he does with most of his public comments: stay neutral, show little emotion, measure words carefully. That is, unless the topic happens to be cornerback Kevon Seymour. "I really enjoy being around Kevon," McDermott told reporters during the Bills' mandatory minicamp last week. That puts Seymour all by himself in the category of those on the roster to receive such a compliment from the guy in charge. There are Bills players with whom McDermott has history from the previous six seasons he spent as defensive coordinator with the Carolina Panthers and even before that as an assistant coach with the Philadelphia Eagles. Seymour isn't one of them. He was someone McDermott inherited, a 2016 sixth-round draft pick from USC. But in a relatively short period, Seymour has managed to win over McDermott in a big way. "He's got great energy and he's just a joy to be around," the coach said. It also doesn't hurt that Seymour can make a significant contribution at a position where the Bills need all of the help they can get after losing No. 1 corner Stephon Gilmore to New England in free agency and parting ways with nickel back Nickell Robey-Coleman. 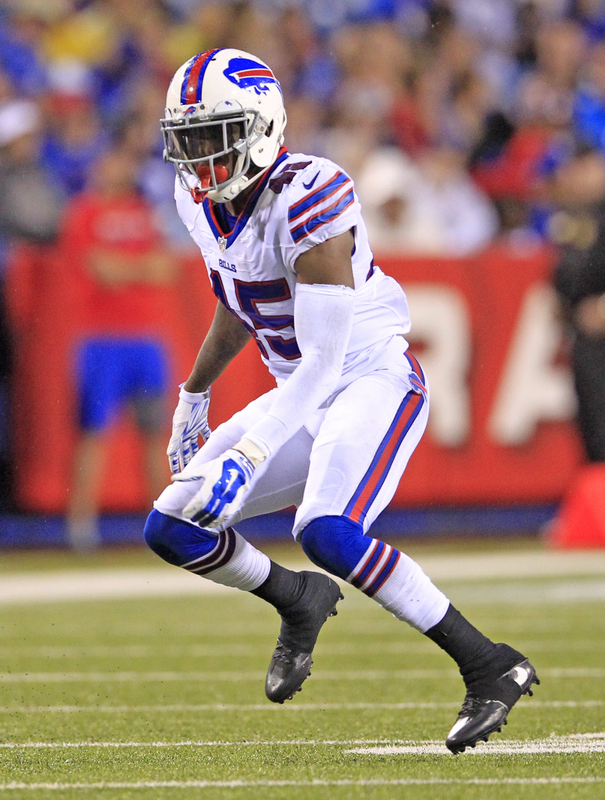 With Ronald Darby and this year's first-round choice, Tre'Davious White, the likely starters at cornerback, the Bills are taking a hard look at what's behind them. Enter Seymour, who last season played in 15 games and made three starts. The former Trojan was credited with three passes defended and 14 tackles. The Bills added veteran cornerbacks Shareece Wright and Leonard Johnson, a former Panther, in the offseason and both will provide competition. However, Seymour did plenty to establish himself as a worthy candidate for significant playing time. During offseason workouts, he worked inside, covering the slot receiver in nickel defense, as well as outside. "The nickel position, the inside position, that’s a starting position in our defense," McDermott said. "When you look around the league, it’s right around 60 to 70 percent the amount of time people spend in that sub-package. He’s a valuable member of our football team and what we’re trying to accomplish, and so I think he does a nice job in that position (being) flexed. He can move inside, he can play outside." Before the draft, Seymour's chances of competing for a starting job seemed better than now. That isn't technically off the table, given how McDermott constantly preaches about competition at every position and that no one should feel secure. But White might very well have had the best offseason of anyone on the team, and Seymour readily acknowledges as much. "Tre had great OTAs and (minicamp), a great corner," he said. "One of the best corners I’ve seen, especially as a rookie, coming in basically already developed. I’m tipping my hat to him." Although Seymour calls Darby and White "great corners," he sees the elevated level of competition making everyone at the position better. He says the sort of things that register with McDermott, noting that all of the cornerbacks on the team have "a great relationship" and are "all like brothers." "We all laugh and joke," Seymour said. "When we’re out here on the field, we celebrate with each other and for each other." He talks about "focusing on winning today," he talks about giving an effort that's "playoff-caliber" (a slogan that appears on T-shirts players have worn throughout the offseason) in every workout. McDermott says Seymour still faces the challenge of developing as a second-year NFL player and learning the nuances of playing inside. "But at the same time," the coach said, "the exciting part of this is he’s taking the right approach and the right attitude."